the local list: Brunch - the most important meal of the day. Brunch - the most important meal of the day. Brunch is starting to become one of my favorite meals. I am not a big fan of breakfast foods - as a kid I would ask for soup before school. (My parents must have thought I was so weird.) Now, I can manage some eggs, bacon and potatoes, lots and lots of potatoes. 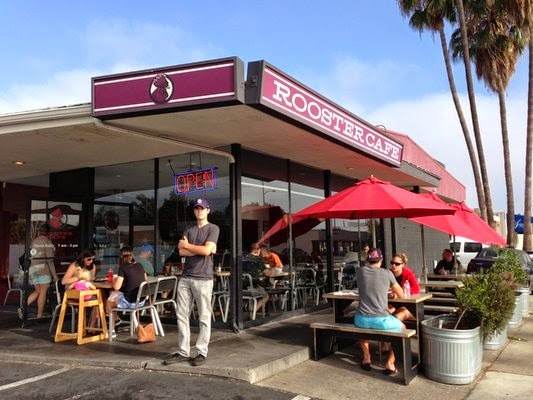 My go to spot is usually Nate's but this weekend my boyfriend dragged me out of my comfort zone to go to an old spot we used to hit weekly - Rooster Cafe. I ordered the huevos rancheros and my boyfriend got a breakfast burrito. I feel like I am cheating, but that sh*t was delicious. 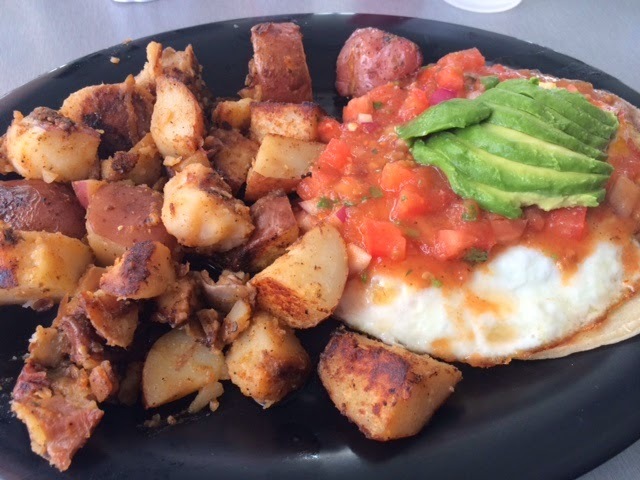 The huevos rancheros might seem small because its only one "taco" but it comes with a heaping pile of red potatoes. I couldn't finish the plate and the salsa was perfect. The breakfast burrito was...just so perfect. Nate's has the best hangover, greasy upon greasy, burrito. 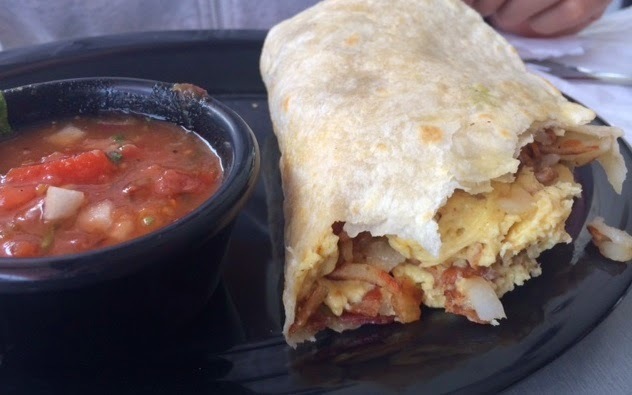 Rooster Cafe has the perfect breakfast burrito. We got it without cheese (lactard), and it actually almost felt healthy? Not really an explanation you want of a breakfast burrito but believe me it is worth trying. They also have lunch items that looked pretty good. The line can be quite long, parking limited, but they have seating outside. If you are willing to wait, definitely stop by here next Saturday for some good home cookin'. 4 huevos for good food but long lines and little seating. It's rare to see someone who doesn't enjoy a good breakfast meal. Although I might understand that if you were always on-the-go, and never have time to sit down for breakfast. Anyway, I'm at least glad you found time to enjoy a good ol' brunch, Mills. Thanks for the great review! All the best to you!